To Stryd or Not to Stryd, That is the Question….. The 28-mile Loowit Trail that circumnavigates Mt. 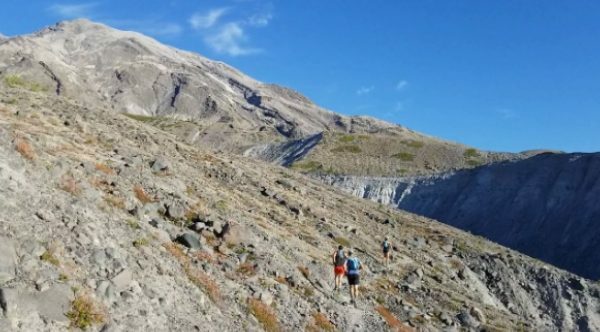 St. Helens offers challenges unlike no other trail in the Northwest. The volcanic blast from 1980 left little tree coverage for constant sun exposure, deep gullies traverse, sparse water, and large boulder fields. Plan on doing more hiking than running. Make sure to carry at least two liters of water and a wind jacket as weather can change quickly. It’s also important to have a map and a GPS app downloaded on a cell phone as even experienced trail runners can easily go off course. The Loowit Trail must be accessed from several trails around the mountain listed on the Mt. St. Helens page. There are advantages of running counterclockwise and clockwise, depending on the entry trail. We’ll describe the clockwise route from June Lake Trail at the south end of the mountain. A former mud plain makes a sandy plain after 1.2 miles of running up from the June Lake trailhead. Take a look at June Lake on the right and witness a waterfall flowing to the shallow lake. Follow the switchbacks of the trail for another .3 miles to the Loowit Trail. The spring to the waterfalls is at the entry. Turn left to enter a rugged lava boulder field called the Worm Flow. This is the first evidence of how tough this trail will be. Hop from boulder to boulder and be on the lookout for cairns and posts that mark the trail. This is also the first view of the St. Helens peak around the trail. The Swift Creek crossing is 1.3 miles into the boulder field. Chocolate Falls, named after the brown silt flowing from the mountain that reminds us the eruption wasn’t that long ago. The next two miles to the Ptarmigan trail junction is an uphill wooded section. After the junction is another boulder field. Follow the cairns and posts to the Butte Camp trail junction for another challenging 2.3 miles. At 4800 feet, this is the high point of the trail. A permit is needed to go any higher. The next 3.1 miles to the Sheep Canyon trail are fairly runnable with exception to the Blue Lake Wash, where a huge chasm and loose rock must be climbed. The Butte Camp Dome on the left and Mt. 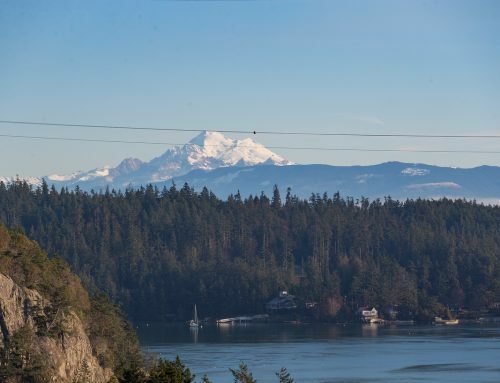 St. Helens on the right provide amazing views. 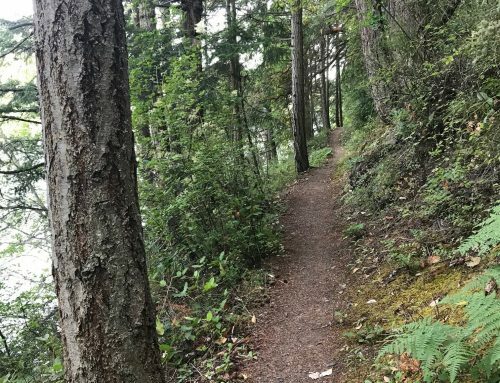 The next mile to the Crescent Ridge is a subalpine forest, then a steep descent through burned trees and wildflowers ensues to the Toutle Trail. Ropes help climb in and out of the South Fork of the Toutle River bed. Get water here with a filter as water is limited for miles. After the river crossing, the trail ascends 1.4 miles to the Castle Ridge Trail and enter the Mt. St. Helens blast zone. This is an easy area to get off track, so pay attention to the trail signs. The blast zone is 7 miles of scree, sand, and rock. Views of Spirit Lake, the Mt. Margret Backcountry. Mt. Ranier and Mt. Adams provide an amazing backdrop. Look for mountain goats on the mountain and elk herds in the pre-eruption channel of the North Fork of the Toutle River. In between the west dome and the east dome is “The Breach,” which provides views into the lava dome, red pumice rock fields, and several waterfalls descending from the horseshoe crater. At the Willow Springs Trail junction is the entry to the Sasquatch Steps, produced by excavation of the crater by the 1980 landslides and lateral explosion as well as the subsequent erosion of Step and Loowit creeks. At the end of the Sasquatch Steps is the Loowit Falls Trail, a .6 mile trail that leads to the falls. Shortly after is a natural spring flowing right through the pumice fields. The water is so clear a filter isn’t needed and it makes a great aid station since water is sparse the rest of the way. The next mile is a climb to Windy Pass and to the second high point of the trail at 4800 feet. The reward for the hike is the first view of Mt. Hood as well Ranier and Adams and the sweet scent of several beds of lupine. The next 2.7 miles is the Plains of Abraham, the most runnable section of the trail. 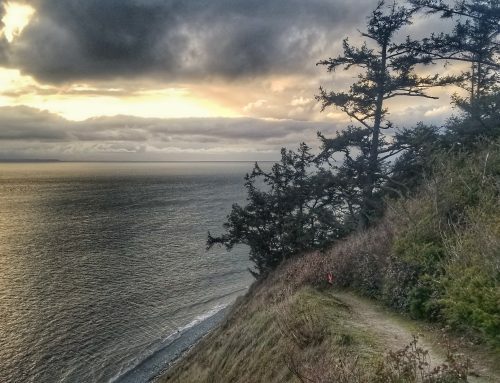 Look for Ape Canyon, a rock formation created by the lahar flow, on the left side of the trail. Be careful not to run down the Ape Canyon Trail as the Loowit Trail takes a hard right at this junction. Only 4.8 miles from here to get back on June Lake Trail. The Muddy River crossing plus a couple creek and rock beds will challenge wary legs at this section. Huckleberry bushes surround the trail for yummy nutrition to help with the last few miles. Take the June Lake trail for a nice descent back to the parking lot. 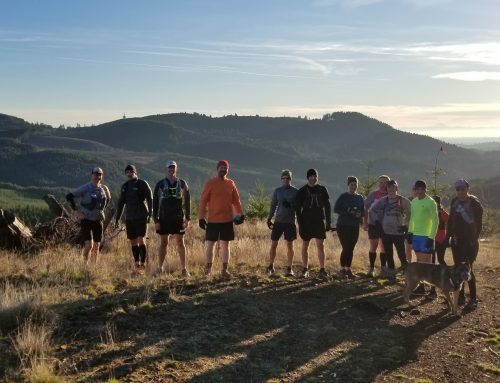 No matter which way the Loowit Trail is run and what trail is used to enter it, the Loowit is a must do for Northwest Trail runners. See the Northwest Dirt Churners YouTube video for a sample of the Loowit Trail, June Lake Trail, and Ape Canyon Trail. The highly anticipated Wildwood Trail bridge over Burnside is starting Monday and won't be done until the fall. Don't fret, we found an alternative using Fischer Ln. and a connector trail for those still wanting to do a Wildwood E2E in Forest Park. If you have run in a PNW forest, you probably know what "tree tax" is, the shortage of miles on your GPS watch due to tree cover. Stryd makes a foot pod that accurately measures any run, via forest trails, dense cities, or a treadmill. Read Clint's review about how this watch measures GPS, elevation gain, power zones, and more. 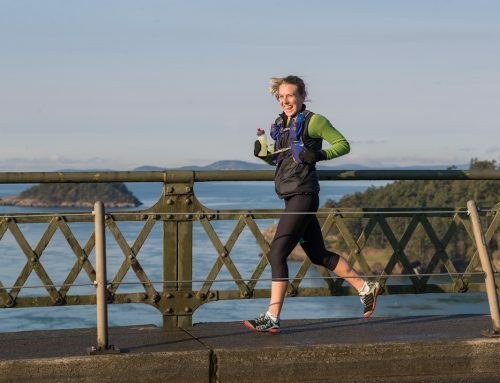 Danielle Snyder of Inner Drive Athlete writes about how running and staying present is helping her cope with her current real-life family crisis. Please read, you won't regret it.